Today’s guest is Dean Croke, Chief Analytics Officer at FreightWaves. Growing up in Australia, his family owned and operated a trucking business. Dean has been in and around the trucking business for over 50 years and he has driven over two million miles as a driver. Over the last 20 years, Dean has been focused on trucking analytics, especially related to driver fatigue, safety, sleep schedules and hours of service. 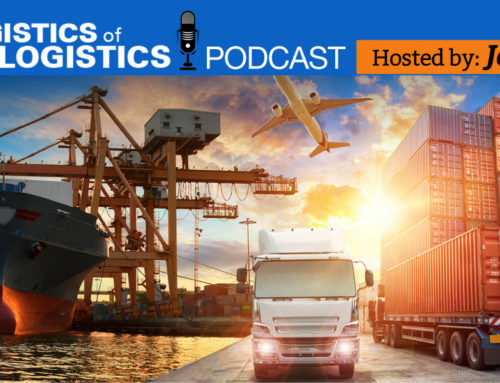 In the podcast interview, Dean shares what he has learned from studying data from electronic logging devices (ELD). 01:03 – Dean describes how he became the Chief Analytics Officer of FreightWaves. What exactly his role is. Life-changing events that Dean experienced. Applying his real-world experience to data analytics. 04:44 – Experiencing fatigue while trucking. Drivers may fall asleep for longer than they realize. Working with a Harvard professor. 06:16 – Hours of service and electronic logging devices (ELD). Problems with rules and regulations. Falsities about drivers being well-rested. 12:57 – A history of ELD. Why ELD started and creating a 24-hour schedule. What’s wrong with ELD and the focus on fatigue. 17:04 – Fixing the problems with current ELD. Teaching truckers how to sleep healthily. Companies that analyze ELD data. 21:47 – Using the data gained by ELD. An unintended outcome of using ELD. Why some truck companies may demand to be paid despite not yet being on the road. 25:51 – What trucking companies and drivers can do to make working within ELD constraints better. Inefficiencies in the trucking industry. How culture and education affect things. Why just being compliant to regulations won’t improve safety. 29:57 – Adoption of using the right information to create schedules. Difficulties of accident coding in databases. 33:41 – Dean tells us how to learn more about FreightWaves. Create a schedule based on sleep management. ELD provides crucial data but is not often used efficiently. Being compliant with regulations does not mean a company is safe. MarketWaves – Conference on November 12 and 13 in Grapevine, Texas.